StreamTeam is our volunteer-driven stream restoration program. 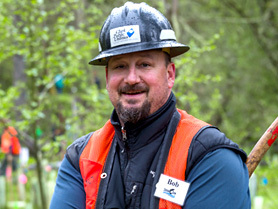 More than 1,000 team members donate over 3,500 hours of their time each year to save salmon. Our StreamTeam members include utility employees, Stream Stewards, AmeriCorps members, scout groups, college students, youth groups and many other dedicated individuals. For a printable schedule of StreamTeam’s 2019 events, click here. Questions about improving salmon habitat? Want to get involved? 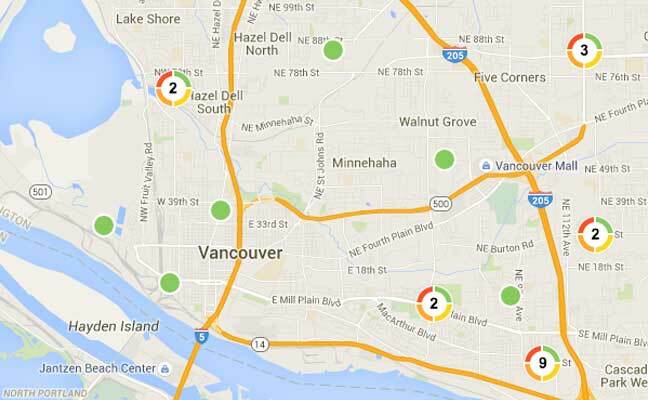 Please call 360-992-8585 or Contact Us. Volunteers under the age of 18 who will not be accompanied by a legal guardian will need to bring a signed copy of this release. Get to Know AmeriCorps Volunteers! 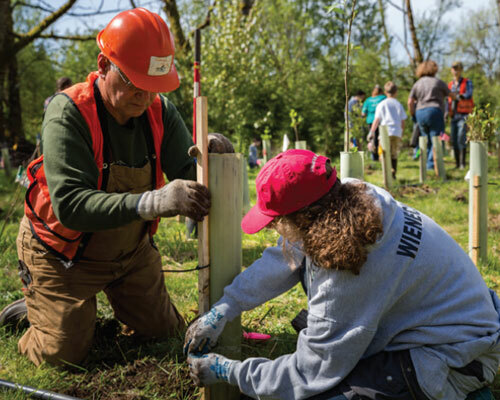 Since 1997, AmeriCorps volunteers have been a critical part of StreamTeam’s restoration work in the Salmon Creek and East Fork Lewis River watersheds. Well over a hundred young adults from Clark County and the nation abroad have contributed thousands of hours to improving our local habitat. Their “Get Things Done” attitudes continue to leave a lasting positive impact on the environment and our community. Please join StreamTeam in thanking all past and present AmeriCorps volunteers! Stay up to date on StreamTeam news, upcoming events, volunteer opportunities and more! 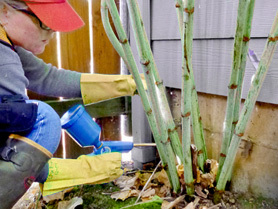 Our StreamTeam program proactively addresses the problems facing the Salmon Creek watershed. 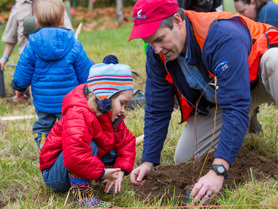 Since the voluntary program began in 1992, more than 850,000 trees have been planted to restore approximately 120 acres of land along 12 miles of stream length. We’ve also installed 10 miles of livestock exclusion fencing and two miles of bank stabilization, and removed tons of garbage—literally!—with the help of dedicated people like you. 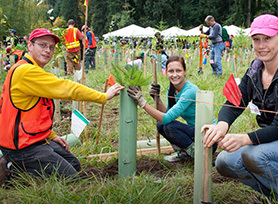 Volunteers work year-round to prepare seedlings, and pot and plant native trees. The trees we plant have an 85 percent survival rate thanks to the StreamTeam’s hard work to weed and water them for up to five years after planting. This grant-funded program focuses on removing aggressive, non-native plants like knotweed, invasive blackberry and canarygrass. Dig into a free workshop series and give back by volunteering! Grant funds are available to help landowners stabilize and restore stream banks at no cost.